Stephanie Williams, president of Bozzuto Management Group and co-founder of the Bozzuto Diversity and Inclusion program, discusses why diversity at every level of a company can strengthen relationships with residents. Bozzuto Management Company President Stephanie L. Williams was recently recognized by the Washington Business Journal as one of the top 25 minority business leaders in Washington, D.C. One of the co-founders and co-champions of the Bozzuto Diversity and Inclusion program, which strives to cultivate diversity at every level of the company, Williams has strongly held views on how those in the multifamily industry can make their corporate cultures more innovative and strengthen relationships with residents. 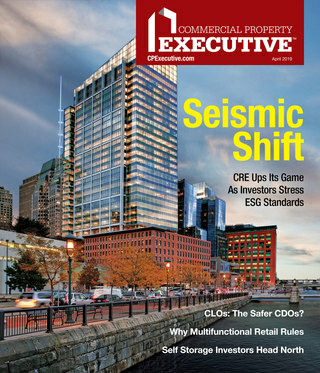 Williams recently shared her unique perspective on the industry with Multi-Housing News. MHN: What do you believe was the greatest factor in your success? Williams: I’ve been at Bozzuto since 2004. I came in as a development associate, having been brought on board as a result of relationships I started in graduate school. I learned early on that building relationships was a key to getting opportunities and to being successful. I supplemented that with relationships outside the company, which allowed me to bring business into the company, whether it was a company we could partner with or build for. I’ve always been a big believer in mentors both inside and outside the company. They have helped me strategically navigate through my career, urging me to take risks and sometimes to show patience. And then just not being afraid to take risks. That separates the good from the great. There were times when I made a decision that wasn’t the right one. But showing the initiative and the willingness to think outside the box and demonstrate an entrepreneurial spirit was rewarded by the company. 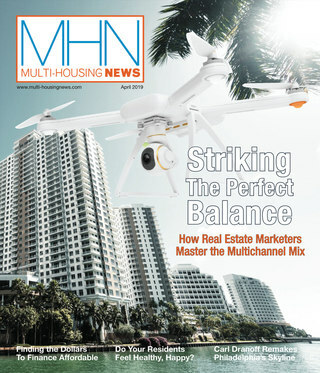 MHN: How can multifamily companies go beyond diversity to achieve an innovative corporate culture? Williams: I think what we’ve done well here and what other companies can do as well is celebrate what we want more of. We launched a platform last year called Bozzuto Voices to encourage employees to share feedback on different ways we can be innovative or different ways to do business. We don’t take all the ideas. But there sure are some great ones out there. I also feel it’s important to partner with companies that are innovative and willing to try new products and services, knowing they may be imperfect but working with them to evolve those products and services. MHN: How can companies also deepen relationships with residents? Williams: One way to do that is to understand them. We spend a lot of time focusing on demographics that are helpful to us in understanding the makeup of our communities. But it doesn’t tell us anything about the emotional drivers behind our individual customers. Over the last three years, we’ve spent a lot of time asking our residents about what’s important to them, and this helps us understand our most likely residents and the definition of what our brand is. We launched in 2015 a website called Bozzuto Listens, where residents can go and take a voice in talking to us, which has been really helpful. And we also launched that same year a resident advisory panel, where our brand loyalists could share their ideas with us. We have 2,000 residents who are members of our advisory panel, and we’ve asked them about security, health and wellness and how we can address their interests in those matters. MHN: What is your advice to members of minorities who would like to reach leadership positions in multifamily? Williams: I would say align yourself with companies that are forward thinking in that space who do favor diversity and are not afraid to talk about it. Seek mentors and sponsors who are African-American or Hispanic who can provide some perspective about being part of a minority group in the multifamily industry. And also join industry organizations of minority peers, to get tips on how to navigate and help to build relationships within the industry. MHN: What are your thoughts about the future for minorities interested in leadership? Williams: I’m extremely positive about it. Within the industry groups in which I participate, everyone is talking about the richness that comes from building an employee minority environment. Those companies that are leaders recognize we work in these diverse communities and want their companies to represent the people we are serving.